Ayan Pramanik and Raghu Krishnan report from Bengaluru. Over the past decade, India's information technology industry has seen multiple attempts to mobilise the workforce to form an active trade union. The efforts have finally yielded results, with Karnataka recognising the Karnataka State IT/ITeS Employees Union as a workers' body to protect their interests. The development comes at a time when the IT sector is facing its worst disruption in a decade. Top executives have questioned the significance of a trade union in the sector. 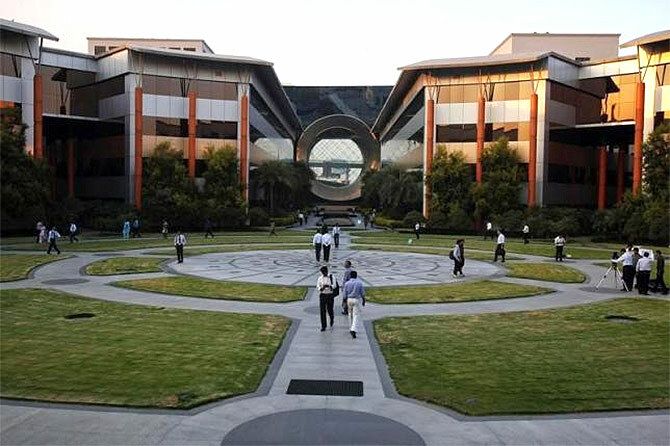 In 2005, UNITES, a global trade union for IT workers affiliated to IBM, opened its Bengaluru office and looked to mobilise technology employees. However, the effort did not take off because soon after the financial meltdown in the US that led to a recession, global firms started to outsource work to Indian companies and established their own captives. The result was a job boom in the sector, with exports of nearly $118 billion in 2016-2017. The sector, besides paying higher wages, focused on people welfare, building campuses, and employing chief fun officers to engage employees. In the last two years, when IT firms, in their attempt to cut costs, sacked employees, many of them moved the labour courts in Chennai, Hyderabad, Pune, and Bengaluru against the respective companies. While some got relief, others have struggled. Trade bodies such as the IT Employees Wing of the New Democratic Labour Front in Chennai, and the Federation of IT Employees have also emerged in the same period. "In the past, IT companies were paying higher salaries than other industries. But now, there is large-scale sacking, and salaries in smaller companies are lower than the minimum wages of Rs 18,000 a month," said Vineeth Vakil, general secretary, KITU. Vakil, an employee of mid-tier IT firm Mindtree, said thousands of engineers were being terminated without giving reasons. The union's aim, he said, was to fight for the collective rights of workers in the IT industry. The union, backed by the Centre of Indian Trade Union, has around 250 members as of now. Indian IT firms are embracing automation, reducing hiring and shedding jobs as they focus on productivity, with clients shifting their budgets from traditional services to newer areas such as digital and cloud. Works such as software maintenance and testing are largely automated across companies such as Infosys and Wipro, and employees have been redeployed in more innovative work, wherever possible. In the first half of this year, net hiring by IT firms remained flat or marginally dropped in the top six companies. Industry body Nasscom said its target of 130,000 to 150,000 additional job generation would be tough to meet this year. IT services companies, however, claimed that the formation of a union in the IT sector could not be linked to technology disruption. "It is neither a positive nor a negative for Mindtree or the industry. The industry has matured and it will have to deal with complexities. I am not linking this to anything happening in the industry such as technology disruption," Rostow Ravanan, chief executive officer, Mindtree, said. "Typically, in other sectors, low-wage workforce joins unions, but this has not been the case in the IT services industry. Compensation in this sector has been much higher. I am not sure if people will get preferential or different treatment by going through a union," Ravanan added. In the last few months, the IT industry has seen instances of some employees being asked to leave the company without a proper notice or told to resign citing performance issues, especially in the mid-level. "The lines between the management and employees are very thin unlike other sectors," George Varghese, managing director and CEO, ET Marlabs, and a former Infosys employee, said. "It is the industry which encourages each employee to speak. Unionism is relevant especially in the sectors where there has been exploitation." Varghese said "this is the world of Glassdoor, social media and so many other social forums for expression", and that companies that treated employees badly had struggled. Photograph: Reuters. Kindly Note: The lead image is posted only for representational reasons.